G H Porter Provisons is at 1 Bridge Street in Newark, right on the corner facing towards the square. It looks like it has been there forever and it has actually been there for over 100 year. 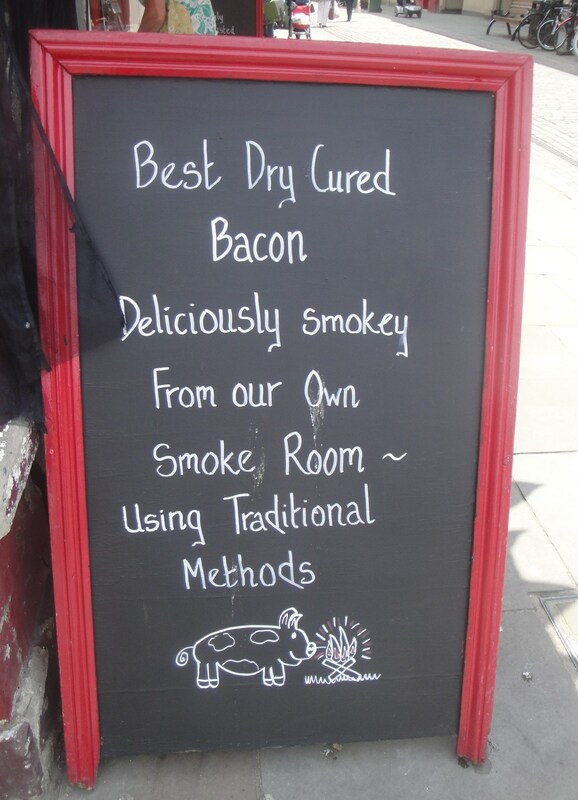 It is renowned for producing its own dry cure bacon and also smoked bacon in its own smoke house. From across the square, it had been the sign “Smoked Bacon” emblazoned across the shop front that had first caught my attention. 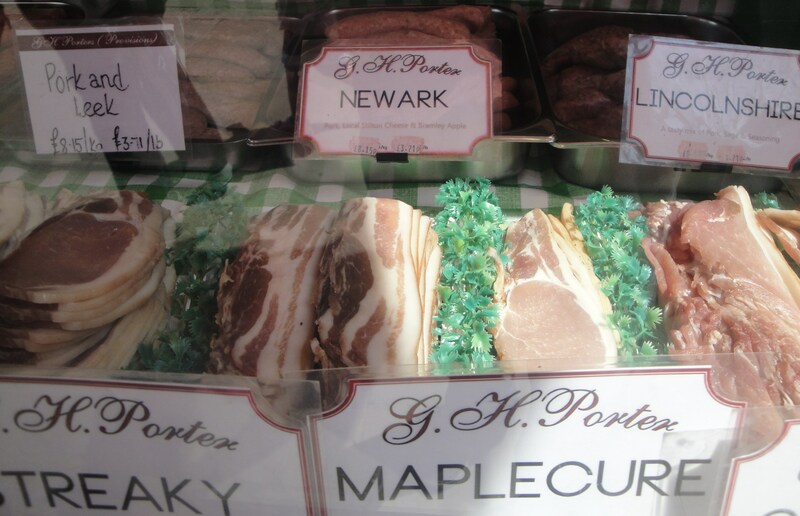 After that it had been the piles and piles of bacon slices in the shop window that had drawn me across the threshold. 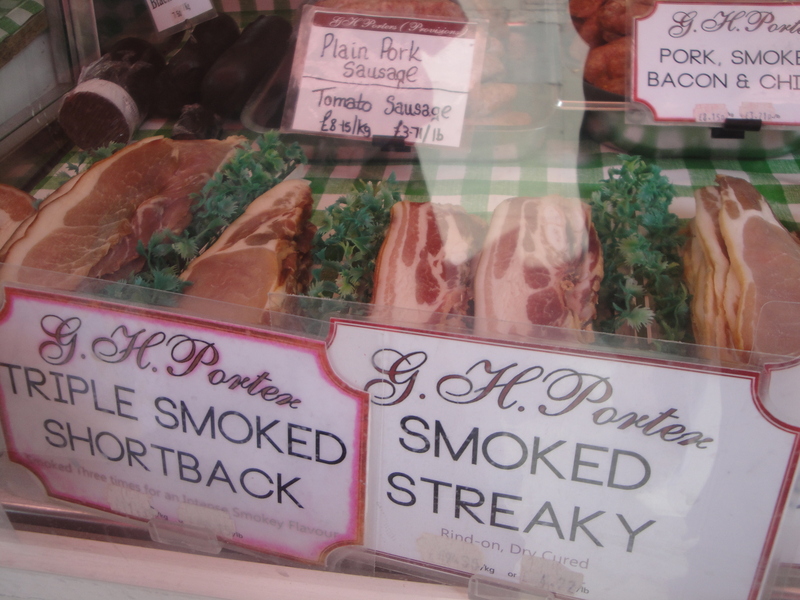 I am always on the hunt for some good smoked streaky bacon, and I found some here that was as good as any I have located in Nottinghamshire. It was cut just like it used to be cut, before those pesky supermarkets got involved with their ‘perfect picture slices’. 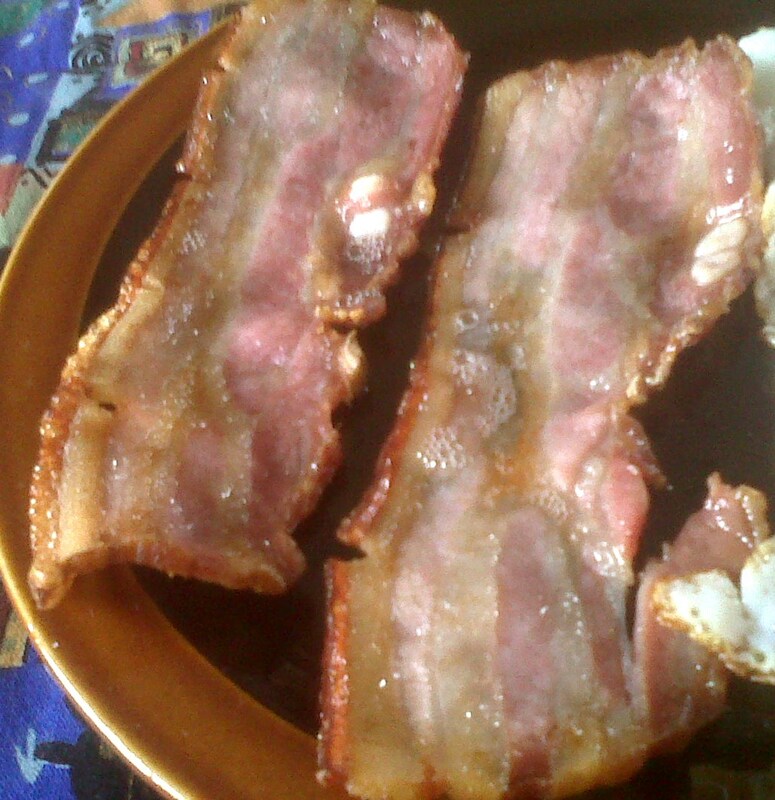 The rind is still on the bacon and it still has the thin slither which sometime has those small bits of bone in them. This means that you get a wider and tastier slice rather than just those rindless narrow strips of streaky bacon you see more often than not these days. It has a really good cure and smokiness, the smell of the uncooked bacon is so good that you feel that you could eat it up just as it is. As it is the smell will linger on your fingers for a while after handling it. It tastes even better than it looks in the shop when it cooked up. 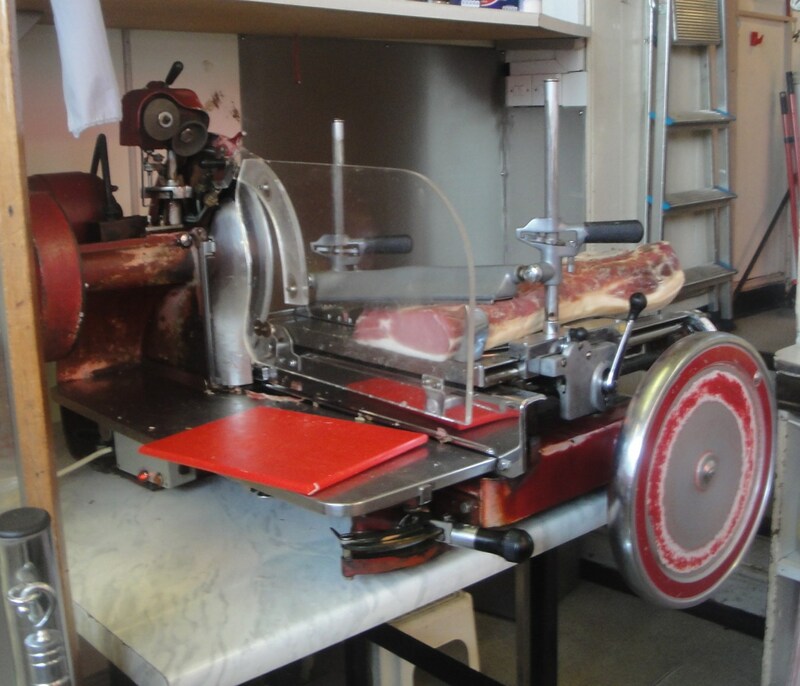 In the corner of the store is a good old fashioned bacon slicer. I know it would not really fit on the corner of my kitchen work surface but it would be a dream toy to add to the collection. I am sure I could just push the mixers and the pasta maker to one side and find a small spot to fit one in? 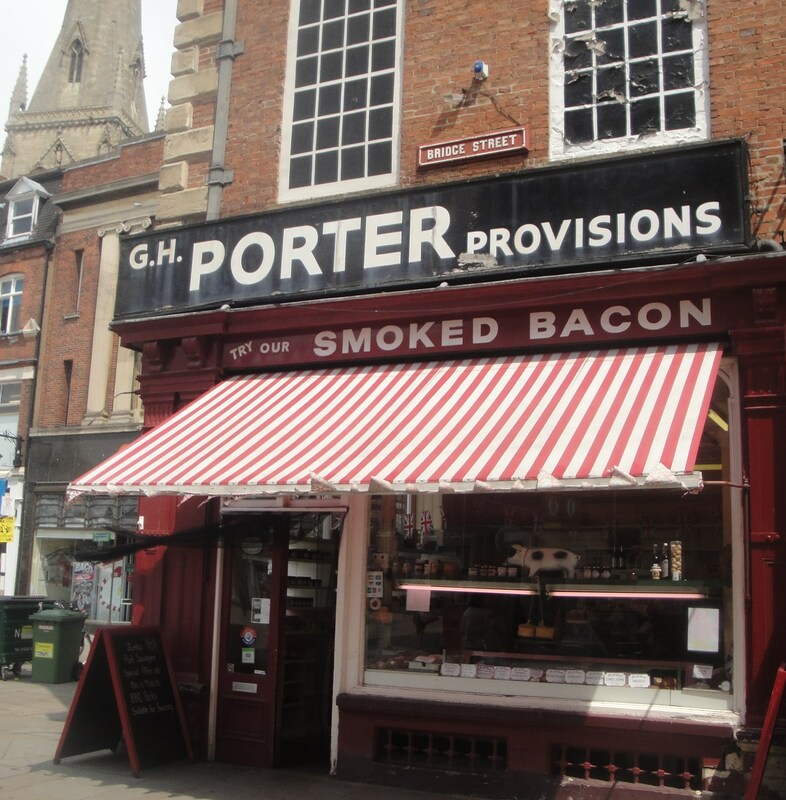 Principally the main purpose for any visit to Porter Provisions should quite rightly be all about the bacon. 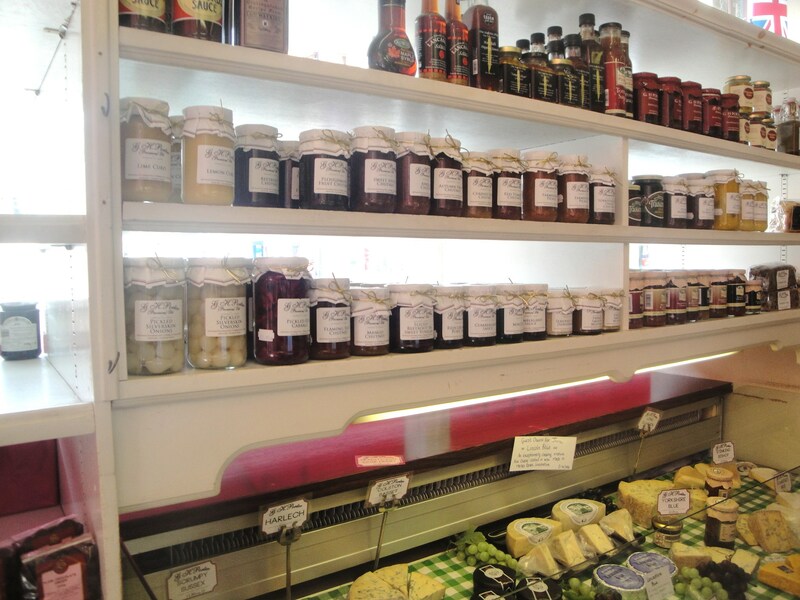 Having said that they do stock a good selection of jams and sauces made by local producers. 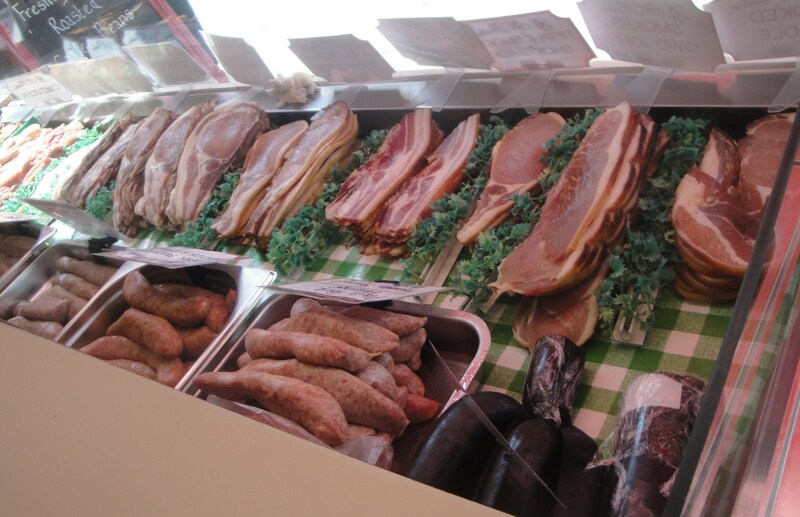 They also sell a good range of local cheeses including excellent Stilton. 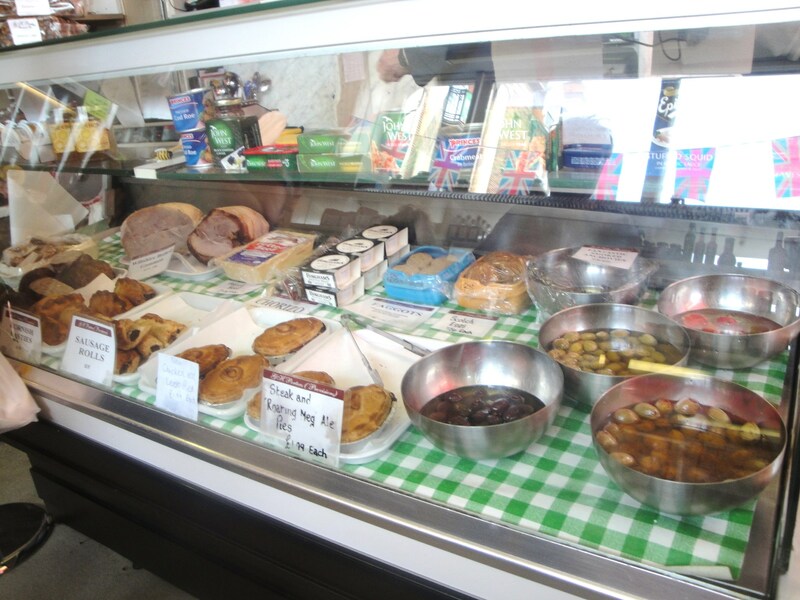 In the counter they also have quite a few homemade pies, pork pie, and scotch eggs. I did sample one of the scotch eggs and it was pretty fair. I had heard reports that their pies are also good, but haven’t had one myself yet. To be clear it is the excellent bacon that would be the only real reason that I would base a return trip on. To be even clearer that in itself is a damn good reason!